If you use Facebook Messenger on an Android phone you might want to check your settings. The app tracks and sends your location to everyone you chat with -- by default. You can turn off location tracking and sharing by clicking the compass icon above the Like button in your chat threads. If the icon is blue, the feature is on. 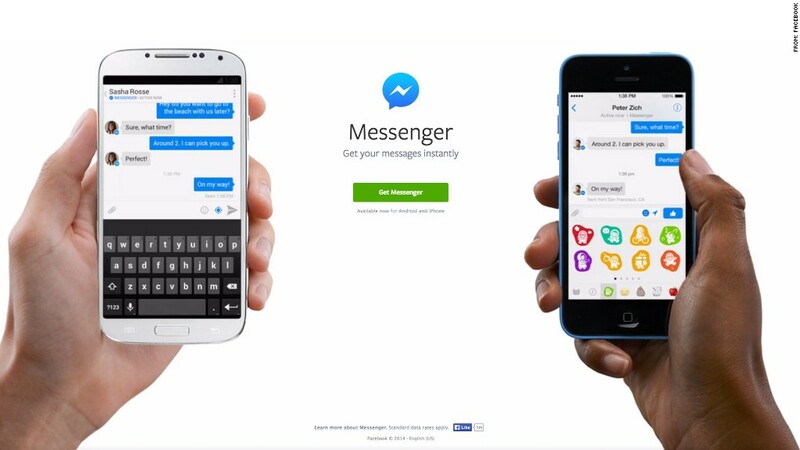 A Facebook spokesman told CNNMoney the app only tracks you if the app is open, and if you're in a specific conversation thread. He said the app does not track location if Messenger is running in the background. If you want to be safe, open the Settings tab within the Android app and disable location completely. Though the default is "off" on an iPhone, you can also disable location tracking in iOS by going into Settings>Privacy>Location>Services, and set the option to "Never." Many people were not aware of the default setting until this week, when a Harvard computer science student launched a Chrome extension that can plot Messenger location data on a map. "The latitude and longitude coordinates of the message locations have more than 5 decimal places of precision, making it possible to pinpoint the sender's location to less than a meter," Aran Khanna wrote on his Medium blog. The other problem, he adds, is the subtle placement of the feature within the app, making it easy for people to forget they're sharing where they are. "It seems so harmless to attach a location with a single message, but the problem is over time the information from these messages adds up," Khanna writes. The Facebook spokesman told CNNMoney the company has been aware of this concern and a fix is coming. "We've been listening to people's feedback and for the last few months have been working hard to improve this experience," he said. "We will be rolling out improvements very soon."